Ruesse is all over this, Calling Mons a blowhard and says he's never going to achieve an oops-wrong forum with this thread. He claims he's going to run him right out of Gopher Hole. Finally a post by you that makes sense. Rick Mons haters are just up in arms because they thought he was promising he'd bring us to the Rose Bowl by the end of the first page of this thread. Doogie says this is a terrible thread and if Snowman was any good he'd have five pages by now and be up for the pulitzer prize of sports blogs. He says however he's a big "Oops wrong forum" supporter and thinks Snowman should get another page before the moderators delete this thread. And he also has a giant man love for Mons. I think there is something terribly wrong with what I just wrote. Rick Mons has no excuses for the failure of this thread now that GopherHole has improved their facilities by moving off Yuku and into this modern board. EDIT: I'm having way too much fun avoiding the last of my weekly work to come up with nonsense for this. 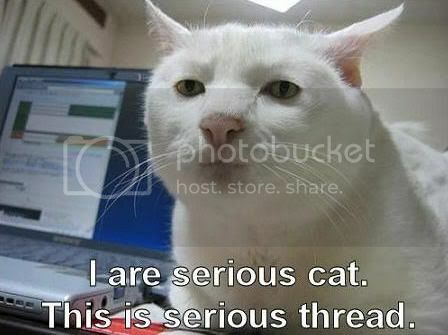 GoAUpher: You is right about this being a serious thread. Rick Mons is despised by 61.27% of the posters on GopherHole, and in this thread those aliens have every right to jump down his throat. Rick is entirely too opinionated and never shares any good threads on the Basketball Board either. I expected more from him, didn't you? Rick is this the proper format? What we all missed was that Rick's original post was about Phat Pat but that Maturi's Iowa hackers made him take it down before it caused more ruckus. Also, I'm concerned that this thread omits the Gopher's 55-0 drubbing by Iowa in '08. Is this an attempt to whitewash the collapse of a similar thread last season? I just do NOT understand what Rick Mons was thinking when he started this thread and got everyone riled up. I am hoping he will be a special guest on Sid and Dave on Sunday Morning and explain himself. He needs to clear this up. The real issue is that Maturi is too much of a bumpkin to decide the fate of this thread quickly and decisively. I supported Rick Mons until he initiated contact with Kansas. After this most recent stunt, we have no choice but to fire him from Gopherhole. Deltahog would be a good replacement. What do you mean?? Rick Mons has been a top thread recruiter since he got here. With more administrative support he'd achieve another potential top thread. i don't blame him one bit. If you want to point the finger point it at the moderators. Rick is doing just what any good thread man would in his situation.